Want something special to not feel alone to your favorite pet companion? 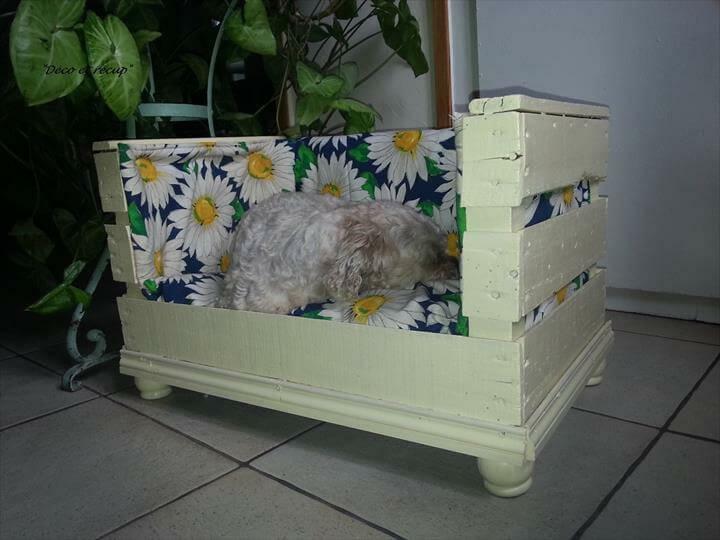 Checkout this pallet pet bed especially made for a puppy or kitty and for any other cuter dog breed! 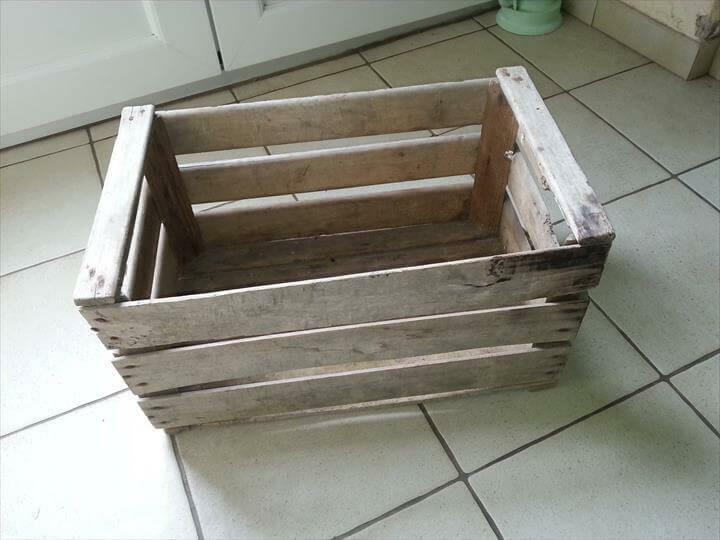 You just only need an old apple crate or a wooden box, if just not having it at home then just a make a custom one at home using old pallets which always come in access! Simply break the pallets into separate wooden slats and built a custom sized box out of them and you are done! For upholstering, you can reclaim an old piece of quilt and just staple it along the interior lines and boundary of this DIY pallet dog bed and here you have got a perfectly upholstered pallet dog or cat bed on a budget! Use leftover home paint or stain to get the most preferred appeal and appearance and let it more stable! For legs, just repurpose the old rod ends or some short metal legs from a broken up piece of furniture and enjoy it! Use pallet breaker tool and make the pallet deconstructed! 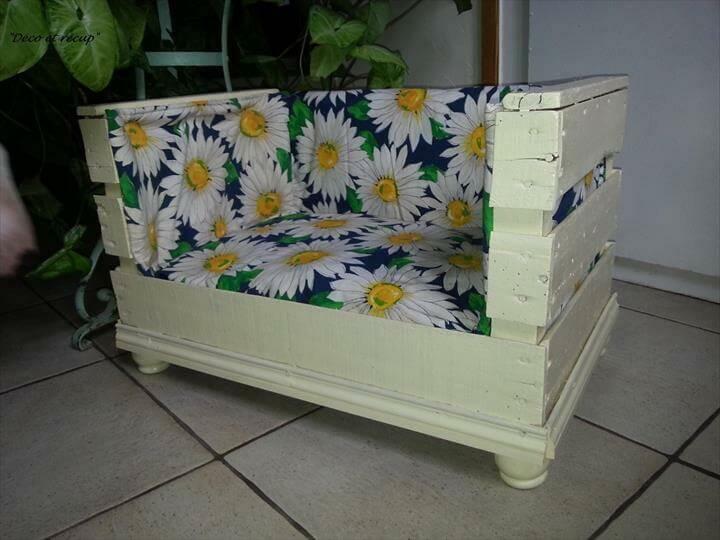 One you have a pile of removed pallet slats then it would not be difficult to build this box out of them! just remove one of the longer wall of an apple crate to get a perfect pet bed frame for kitty, or design it yourself with removed pallet slats, it would not just take much of your time! An old quilt piece has been used to make the bed frame upholstered and soft to sit! Old rod ends have been used to provide short legs to this pet bed!